Congratulations to Johannes Grawer for successfully defending his thesis! Congratulations to my post-doc Henrik Ronellenfitsch! 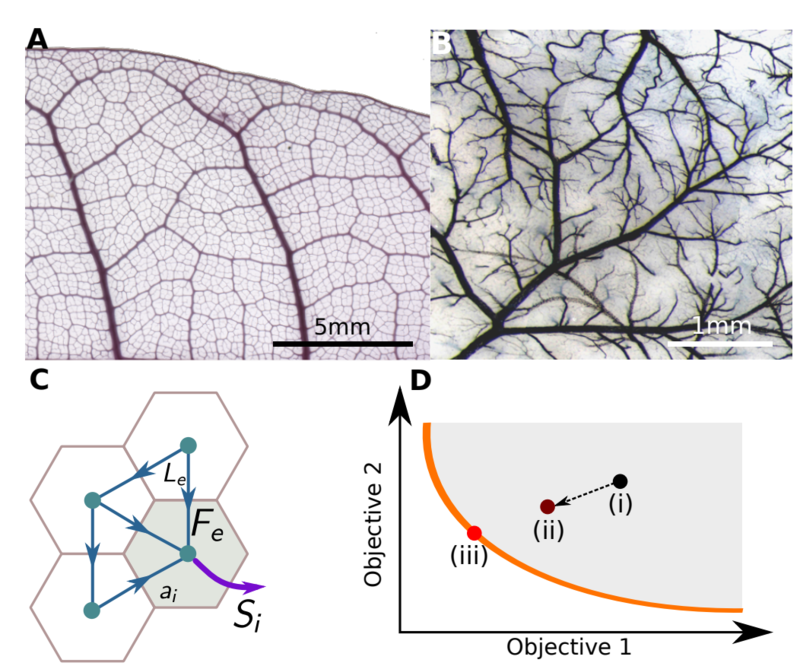 Highly optimized complex transport networks serve crucial functions in many man-made and natural systems such as power grids and plant or animal vasculature. Often, the relevant optimization functional is nonconvex and characterized by many local extrema. In general, finding the global, or nearly global optimum is difficult. In biological systems, it is believed that such an optimal state is slowly achieved through natural selection. However, general coarse grained models for flow networks with local positive feedback rules for the vessel conductivity typically get trapped in low efficiency, local minima. In this work we show how the growth of the underlying tissue, coupled to the dynamical equations for network development, can drive the system to a dramatically improved optimal state. This general model provides a surprisingly simple explanation for the appearance of highly optimized transport networks in biology such as leaf and animal vasculature. Congratulations to my student Johannes Gräwer! A trophallaxis inspired model for distributed transport between randomly interacting agents Trophallaxis, the regurgitation and mouth to mouth transfer of liquid food between members of eusocial insect societies, is an important process that allows the fast and efficient dissemination of food in the colony. Trophallactic systems are typically treated as a network of agent interactions. This approach, though valuable, does not easily lend itself to analytic predictions. 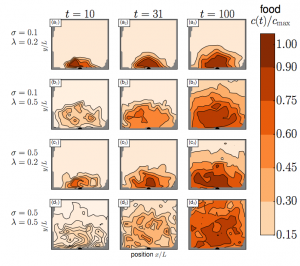 In this work we consider a simple trophallactic system of randomly interacting agents with finite carrying capacity, and calculate analytically and via a series of simulations the global food intake rate for the whole colony as well as observables describing how uniformly the food is distributed within the nest. 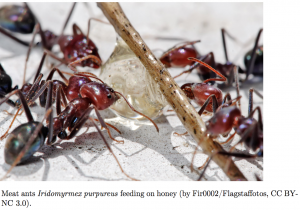 Our work serves as a stepping stone to describing the collective properties of more complex trophallactic systems, such as those including division of labor between foragers and workers. From physicsworld: Multitasking in biological networks: is there a limit? So much fun at the Simons MPS Annual Meeting! Interested in network resilience? 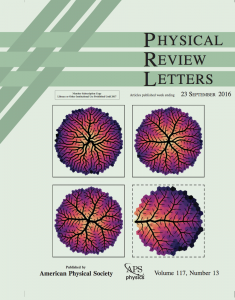 Have a look at our new paper!